La Mascareignes 2015. 64.8 km over some of the most impressive trails I've ever been on. As I had written in an earlier post, running this race was something that started as an idea in my head about five years ago. 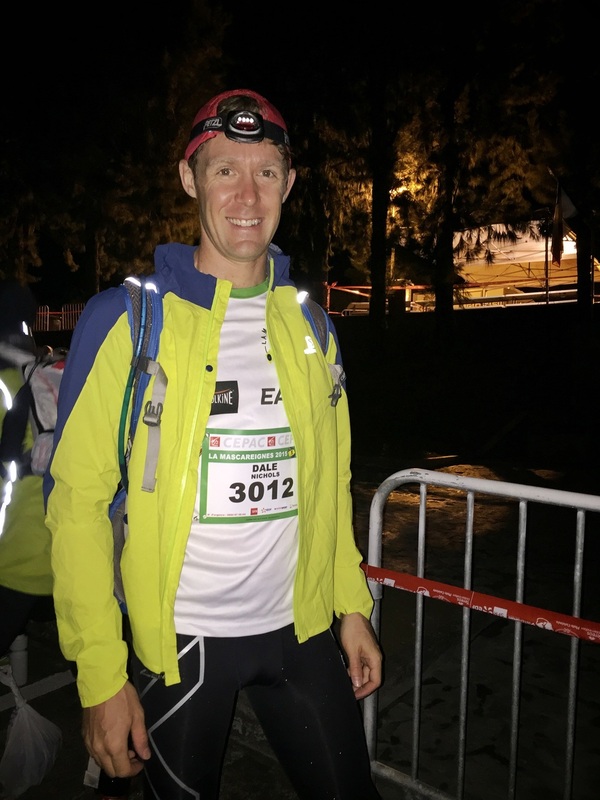 The challenge of running an ultramarathon appealed to me, and as I've kept up with my running over the years and seen my own improvements I felt ready to commit to doing it, and all the training and preparation involved. I considered doing it last year, but that was about halfway through the year and registration for the race was already closed. So I decided this year, that if I was really going to do it, I wasn't going to miss out. It sells out fast every year so I had the date marked in my calendar when registration opened in February, and I signed up within a couple of hours. I paid the entry fee and had my name on the list, but there was still a lot ahead of me to figure out. One of the requirements to receive your confirmation and race bib is to have a form signed off by a physician to say you're healthy enough to take part in the event and your heart isn't going to quit in the middle of it. So I had to make a trip to the hospital and pay a bunch of money to have a group of doctors and nurses hook me up to the electrodes and watch me run on the treadmill, confusedly asking me why I was there. I guess they're all too used to having sad cases come through their door, not fit athletes wanting a stamp and a signature. At this time, early in the year, I was in shape and fit to run, but I wasn't in the kind of shape I felt I had to be in for such a mammoth race as this. I wanted to find some people who could give me some advice to guide me along the way. 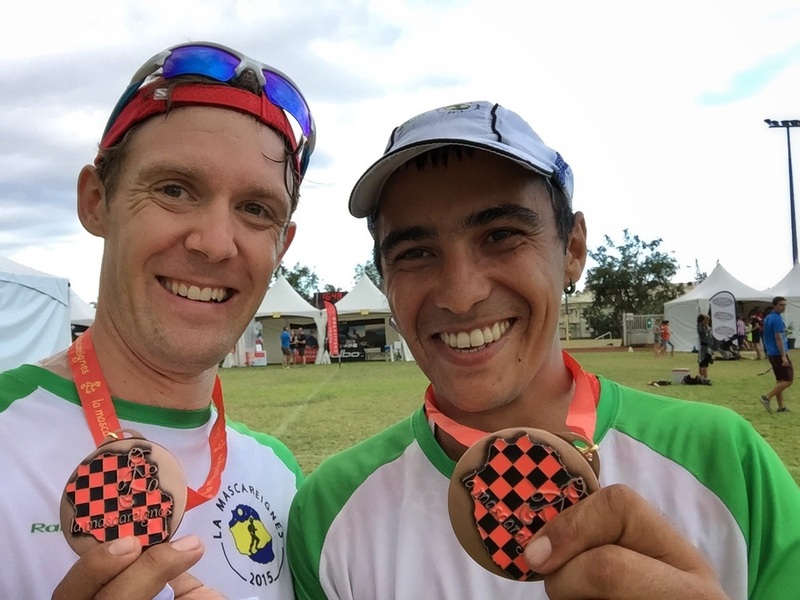 Thanks to a post I saw on Instagram about a few guys here in Dubai preparing to run the Marathon des Sables multi-day ultramarathon in the Sahara desert, I knew I had my first lead. I got in touch with Tom and he got me connected with Marcus, who he was running it with, who operates the Inner Fight gym here in Dubai. Eventually I met with just the right man to talk to, my soon to be endurance coach, Neil. Sure, I could have attempted this race all on my own, but I was going into a lot of unknown territory here. Looking back on it now, I don't think I'd have gotten very far without Neil's help. My training started in May with an AeroScan test to measure how my body was working when I run. This was much more sophisticated and useful than the silly tests the doctors had me do. Over the course of the summer and leading all the way up to the race, Neil helped me completely changed my performance and how my body was using energy. He wrote an excellent article on my training and how much I improved over the the course of the training program, and if you're interested to know more, I highly recommend reading it. There were two things in particular which made my training here in Dubai all the more challenging. There are no hills here, and over the summer it's dangerously hot outside. The only reasonable solution: running indoors on the treadmill, with the incline ramped up to the max. Thank goodness for audiobooks & podcasts to help me through the stationary running. I'm sure it contributed to my mental preparation as well. It's often said that running an ultramarathon is 90% mental. Some people think the other 10% is mental too. Below is a course profile outlining the elevation changes of the race, along with indications of where there are checkpoints, water, food, and medical help. They might look like little green hills, but I can assure you they're all monsters. The course as viewed from the northeast. Click on the image for a larger view. The course as viewed from the southwest. Click on the image for a larger view. A photo I found on Panoramio. I recall being on this section, or something very similar just after sunrise. Another photo I found online that really showcases the stunning landscape of the island on the trails I ran. We ran around this area sometime in the mid-morning. Yes, there were some very steep sections. In line for check-in at midnight. Ready to go! Check-in for the race was at midnight and the race was scheduled to start at 03:00 Thursday morning. On Wednesday evening I ate dinner around 6:30pm then was in bed by 7:30pm, attempting to sleep but never really succeeding. My alarm went off at 10:30pm and I got dressed in my racing gear, did a triple-check that I had everything I needed, then Marie Pierre kindly drove me to Grand Ilet, the start location, about an hour away from Sainte Suzanne. At check-in they scan your bib & timing chips to make sure they're working, and they also inspect your bag and equipment. It's mandatory to carry a headlamp with spare batteries, some food, a minimum of one litre of water, a drinking cup, a medical kit containing bandages, blister patches, and tensor bandages, you also need a safety whistle, one synthetic warm layer of clothing, and one wet-weather layer of clothing. I had all of this with enough food to get me through the race. For the first third of the race I only ate sources of fat, low in carbs and sugar; packets of almond butter & coconut butter. For the rest of the race I survived on Pro Bars, only grabbing a handful of apples or raisins from the aid stations in the last few hours of the race. They had plenty of other food there like sandwiches, chocolate, and other fruit. But I hadn't eaten any of that in months, so I wasn't going to start unless I felt my body was really craving it. I aimed to eat once an hour, whether I felt hungry or not. For those of you who are curious, yes there were port-a-potties at all of the aid stations. Surprisingly, I never had any urges for a "number 2" during the entire course, and I just stopped to relieve myself in the bush when necessary. I tried to stay as well hydrated as possible throughout the race and I was making sure to consume salt and minerals so that my electrolyte levels stayed in balance. I had capsules for this that I took every hour for the last third of the race. I ran out of water three or four times which wasn't fun, I just had to keep pushing on to the next station to fill up my two litre reservoir again. Waiting around at the beginning was pretty boring. I never like standing around in the cold, I just wanted to get going with the race. I stayed close to the front of the gate the whole time because I wanted to be nearer the front of the pack. I expected that I might get pre-race butterflies, especially in the final minutes before the start, but I was totally relaxed. My heart rate was down in the mid-50's until the last minute. Perhaps because I felt ready and not nervous, or maybe it's because my body thought it should be sleeping at that hour! I'm somewhere in that thick swarm of headlamps! Out of the gate we had a few kilometres of single-lane road to ascend before we hit the trails, which were single-track most of the course. On this race, the competition didn't thin out much. We were usually in a stead train of people for the entirety, unlike other races I've done where you can end up with some fairly large gaps between runners. At Sentier Scout, the first checkpoint, I had plenty of water and didn't need food, so didn't bother stopping. This allowed me to pass about 40 people. I continued to make pretty good headway, passing many other runners, but things started to fall apart for me near the bottom of the first long descent. In the end, it was the downhills that really beat me up. Not being able to train for descents at all gave my knees a lot of stress during the race, and by the 25 km mark around four hours into the race I was feeling the pain, and I'm not talking about the kind of pain you can just ignore and carry on with it, but the kind of pain where I knew I'd have to be careful for the remainder of the race. At the bottom of the valley we got a bit of a break with some relatively flat terrain. We had a couple of rivers to cross, which all had stones to step across, so we didn't have to get wet (unless someone actually fell in.) Then it felt like a relief to get the next uphill after the end of the descent. That feeling stayed for a couple of hours until it was replaced with thoughts of "is this climb ever going to end?!" There were sections where it was so steep we had to hold on to the cable attached to the rock wall, to pull ourselves up. Even two very steep sections had ladders to climb up. We were running in darkness with our headlamps on until around 06:00 or 06:30 when it was light enough to switch it off. The morning was quite pleasant but it got pretty warm around midday, somewhere in the high 20's I think. The afternoon was a little humid and muggy and part of the reason I had to drink more water that what I expected. This photo was taken somewhere around the 10 or 11 hour mark. I was feeling the pain, as you can see. There are times during an ultramarathon when it can feel like a death march and you wonder, "Why did I sign up for this?" I paid close attention to my thoughts throughout the race and the way I felt along the way. Running this race I was going into a lot of unknown territory. I had never run more than about three and a half hours at a time before, had never run a marathon distance (42.2 km)—I've only done half marathons, and I was in a completely new place. During my final "hell week" of training leading up to the race, the most Neil put me through was four back-to-back days of 2.5 hour runs. It was enough to give my body a sense of what it would feel like to keep going without full recovery. However, we could only do so much to prepare, and the rest would be experienced on race day. I felt great for the first few hours of the race and was really positive about the way the race was going for me. After the knee pain crept in a quarter of the way in, I was faced with knowing things were going to be a lot harder. By the half-way mark I had a much better appreciation of the challenge ahead. At no point during the race did I doubt that I could finish. They had cut-off times at the checkpoints, but I was well enough ahead of those and I had estimated I still held a decent position in the race. Even though the race got progressively harder as it went on and the pain in my legs was exacerbated with every descent, I remained determined to finish, no matter what. I didn't put in all the time and effort to prepare for this and come all this way to forfeit. However, beyond 40 km (about 10 hours) I was focused on just putting one foot in front of the other and soldiering on to the finish line. Around 50 km though was when I started feeling disappointed with myself. All of the hard running I had done to stay on pace, and now I was feeling so rough that I couldn't keep up the pace I wanted to. I felt like my body had the conditioning to do it, but my legs just couldn't keep up. When other competitors that you remember from further back on the course start passing you, it doesn't help self-esteem. This was a hard thing for me to ignore—I wasn't concerned with beating everybody else, I was in it just to do my absolute best, but when these feelings take hold of the steering wheel of your thoughts it takes a lot of concentration to break free from it. This is when I was realizing how mentally challenging a course of this magnitude is. By 55 km I think any emotion of "fun" had dissolved and I wondered why I was doing this. At 60 km there was almost light at the end of the tunnel but the last 5 km felt like it would never end and I remained in felt angry most of the time. On the final descent, I was in agony, having to use my hands at every corner of the switchbacks to help myself down the steep slope. 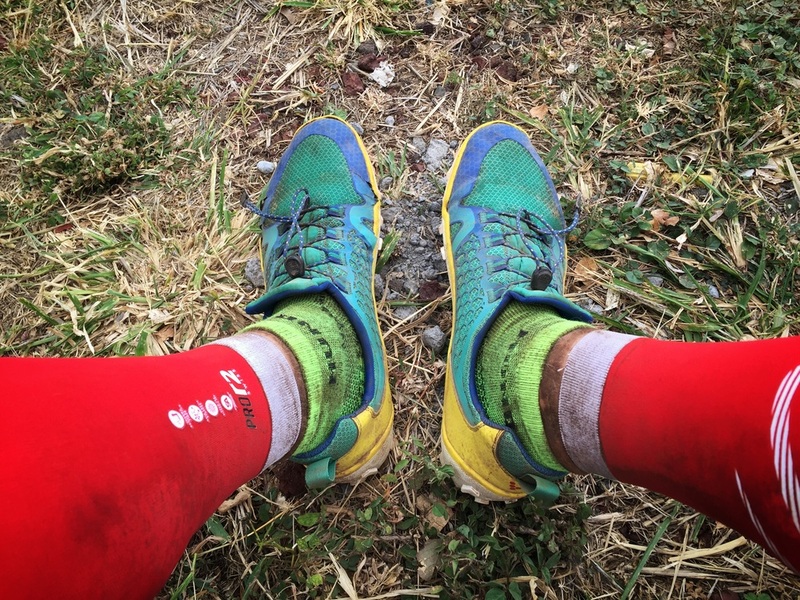 I had to stay focused not to trip on any rocks or roots throughout the course but it was particularly hard after 13 hours to not feel a bit clumsy! Time to go beyond the pain and kick it into gear for the home stretch. Finally, the trail led onto the road and the corner of the stadium was in sight. After rounding the corner and getting onto the track I turned on the jets and went as hard as I could for the last 100 metres of the course. I crossed the finish line at 13 hours 38 minutes and 33 seconds. I placed 328th overall and 162nd in the men's category. There were 1806 runners registered for the race and 1201 finishers. The fastest time was 07:55:36 and the slowest was 19:11:00. The total distance was 64.8 kilometres with a cumulative elevation gain of 3922 metres. After crossing the finish line I felt a great sense of relief, although it took a while before my accomplishment really sunk in. I was proud to receive my medal. When in the check-in line before the race, I chatted briefly to some of the guys around me, one of whom was Loic. He started the race a little ahead of me and throughout the course we passed each other a couple of times. There was a few hour gap where we hadn't seen each other for a while then he appeared closer to the end again. He ended up finishing only two minutes ahead of me in 322nd place. It was funny to see each other again at the finish so we took a photo together. He's a local on the island and runs the event every year. And so finally after a long, long day, I could sit down and give my body a break! Thank you to everyone that supported me on the race and throughout my training. You helped me cross that finish line!